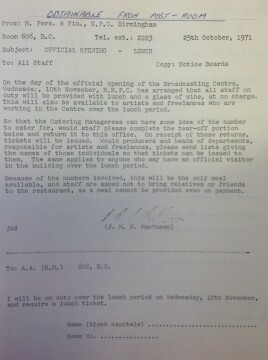 This memo was sent to staff at BBC Pebble Mill in autumn 1971. 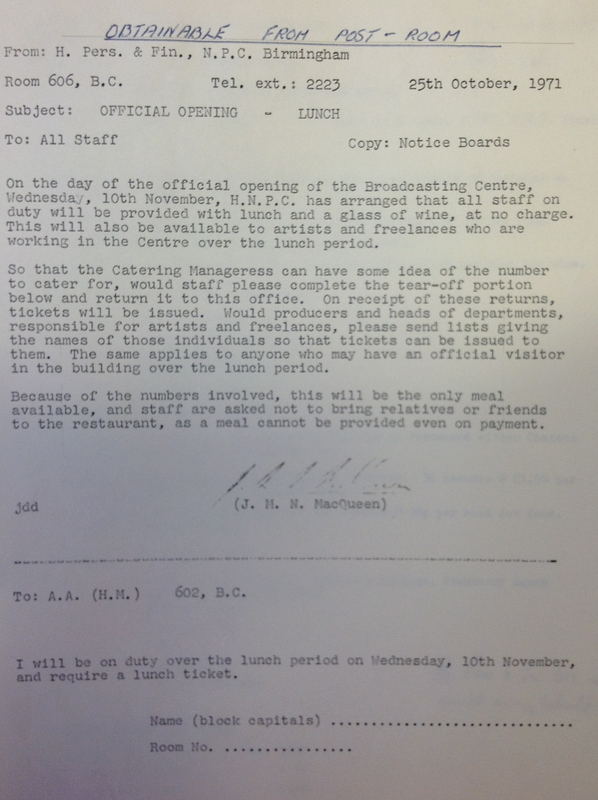 All staff, including artists and freelancers who were working on the day of the Official Opening of Pebble Mill on 10th November 1971, were to be given a free lunch, including a glass of wine, to celebrate the occasion. For their free ticket, staff just had to fill in the slip at the bottom of the memo. The Broadcasting Centre was opened by Princess Anne. (It’s noticeable from the memo how official abbreviated job titles were habitually used, you don’t see that today).